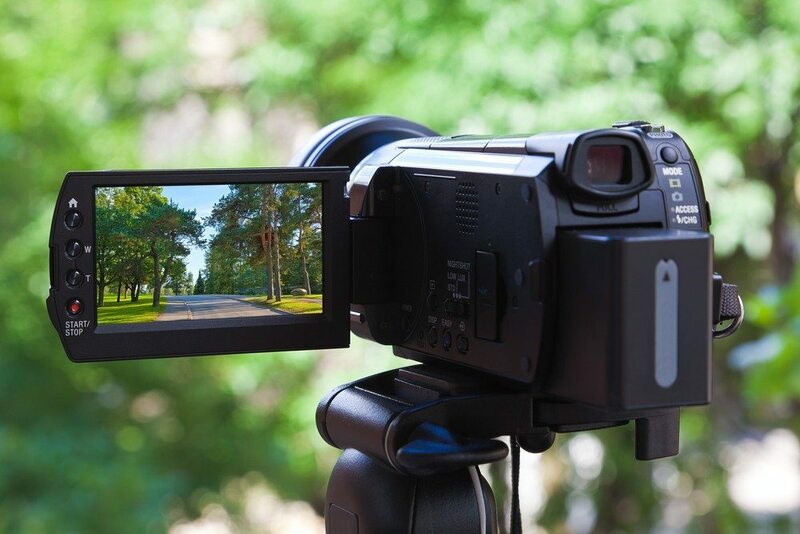 When you decide to include video in your real estate marketing, the next question is, “Should I hire someone or shoot the video myself?” The answer depends on what type of video you plan to shoot. According to a recent study by the National Association of Realtors and Google, “The Digital House Hunt: Consumer and Market Trends in Real Estate,” community videos rank as the most sought-after content on YouTube. If you want the Cliffs Notes of this in-depth study, see my list of YouTube’s top five types of real estate videos. For evergreen videos like community tours, your agent profile or company commercial should be professionally filmed by a full-service production company. The investment is worthwhile for any video with a relevant shelf life of two to three years. For other types of video, it’s more economical to use a freelancer or do it yourself. Let’s start with freelancers. Finding videographers on sites like Craigslist can be an iffy situation. A better choice is the marketplace section of WellcomeMat.com because they specialize in real estate. No matter how you find freelance candidates, use the following proven ways to help mitigate risk. Ask them to send three videos they’ve produced exactly like your project. One freelancer may be great with testimonials, yet not as experienced filming a home tour. After viewing their demo reels, narrow down candidates to your top picks. Then ask your candidates for references on the specific samples they sent you. This helps to weed out anyone who may have fudged the truth about their experience, showcasing someone else’s work as their own. You’d be surprised how frequently this happens in the video industry. When you call a reference, ask them to describe exactly what role or function the freelancer was responsible for during the shoot. If you find out they were less than honest about their role in the production process, cross them off your list. Once you narrow down to your top two or three videographers, ask each for a detailed proposal listing all included services. Beware of a significantly lowball price. You may end up with what you paid for: very little. And don’t forget to ask for proof they’re bonded and carry insurance. Someone has to pay for any damage to your client’s home. It shouldn’t be you. Don’t forget to contract for two rounds of revisions. The first should include up to 10 changes. The second, up to five. If you can’t negotiate for both, insist on 10 changes allowed to the rough cut. Stand strong on payment terms: 50 percent upfront, the balance paid after you’ve approved revisions. A word of caution: Quite often we’ve been hired for a project that our client had previously paid someone else to produce and that person left town before finishing the video. So, take my advice, when it comes to using freelancers, it always pays to perform due diligence before signing the contract. There’s a wealth of online resources if you plan to do it yourself. ReelSEO offers comprehensive do-it-yourself tips from lighting and sound to editing. HDhat has an online store with the latest apps, equipment and gadgets specific to real estate videography. They also provide very affordable editing services for raw footage you provide. A DSLR (digital single-lens reflex) camera. A 64-gigabyte memory stick, which can record a couple hours of HD footage. A fluid head tripod so pans and tilts aren’t jerky. An umbrella light to eliminate shadows and fill in dark areas of a room. A lightweight monopod camera support — it steadies the camera for sharper framing and can be used to create a boom/crane effect for creative and elevated angles. Add in a lapel mic for audio and you’re all set. Check out B&H Photo Video online for great deals. If they don’t have something you need, try Best Buy or Radio Shack. Now, buying all this equipment may seem like a pricey investment. But you also have to consider a freelancer usually averages from $1,000 to $2,500, plus their travel expenses, for just a single basic video. Do the math and decide which route is best for you.